The category winners will be announced at the Gala Awards Event in the Round Room, Mansion House, Dublin, on Friday, 29 March, 2019. You can register for tickets HERE. JJ Rhatigan successfully delivered Goldcrest Village Student Accommodation for its client, the National University of Ireland, Galway. 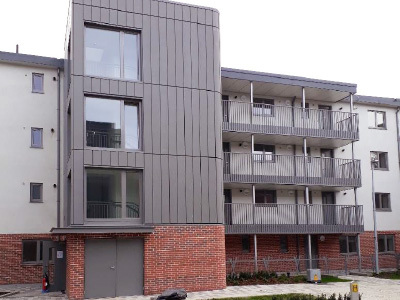 One of the largest Capital Projects delivered on the NUIG campus and indeed recently in Galway City, Goldcrest Village, comprises of 429 en-suite bedrooms set in a mixture of seventy six 4/5/6-bedroom apartment units across four separate linear blocks. JJ Rhatigan put forward a proposal to redesign the main structural frame for all four blocks changing from a traditional concrete block, steel and concrete frame to a complete precast concrete solution. This change, along with en-suite bathroom pods enabled the company to provide improved programme certainty to the Client and a more efficient build overall. 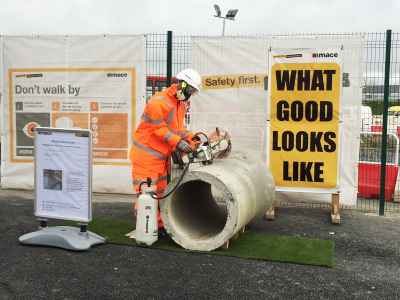 A variety of digital tools and technologies were used on the project, including ‘Autodesk BIM 360’ suite, Biometric Security Turnstile System and Robotic Total Stations. 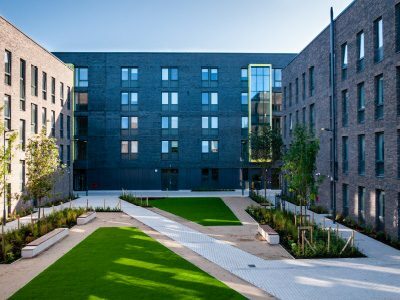 The project benefited hugely from close contractor collaboration with the University and was completed for the start of the 2018 academic year which was critical to ensure the provision of much needed housing for the University’s student body. 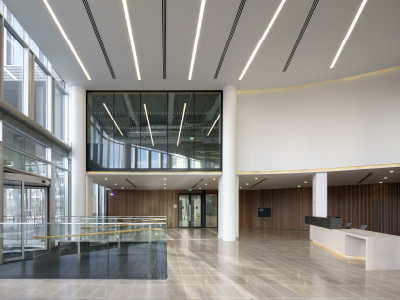 13-18 City Quay is a brand new 8 storey landmark Grade A river fronting office, completed in September 2018 to a high environmentally sustainable standard with certification to both LEED Gold V4 and with a BER A3 rating. Construction on the site commenced in March 2017 with occupation of the building in September 2018. City Quay was finished to an exceptionally high specification. Some of the features include: Centralised core for flexible splits to meet Client requirements (if split, both sides will have views over the river) and maximised natural daylight, Slab to slab height 3.82m / clear floor to ceiling height 2.80m with floor to ceiling glazing, Four pipe fan coil air conditioning system, Design occupancy for M&E of 1 person per 8 sq. m., Metal suspended ceilings (1200 x 300) and raised access floors, Double height feature reception which contains 5 no. 13 person passenger lifts with destination control, Access controlled floors with integration into broader buildings access control system, Own self-contained toilet provision on floor, Extensive high quality tenant facilities in the basement with showers, drying room, lockers and changing facilities at basement level, Underground secure parking and car lifts which maximise the usable space in basement without the need for a ramp, Cafe/restaurant at ground floor, High quality common area finishes throughout, with feature glazed wall to upgraded central stairs in main core, promoting wellness & LEED Gold V4 / BER A3. P.J. Hegarty and Sons have constructed an award-winning building which is held in the highest regard in the industry. The project is deemed a success by the client, whose head of construction has 40 years’ experience in the industry and was continually impressed with the approach of P.J. Hegarty’s construction team. This success was founded on a very successful Pre-Construction phase, in which the team engaged with neighbouring property owners and their consultants, the client and the design team. This provided for a fundamental understanding of the best way to build the project while considering impacts of third parties. During construction, the team overcame the many challenges the project presented: City centre logistics, Neighbours’ concerns: residential and business, Three storey basement construction – 11m below street level, Protected four-storey structure immediately adjacent, Challenging programme & Coordination of trades. Ultimate success for a building project may be considered by performance in relation to: safety, quality, programme and the commercial outcome. In all of these areas P.J. Hegarty excelled. Henry J Lyons architects are industry leaders and acknowledge the superior finish that P.J. 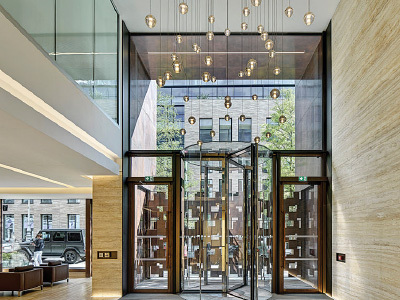 Hegarty provided, while IPUT have awarded a follow-on project on the basis of the team’s performance at 10 Molesworth Street, describing the team as “a credit to their company and the industry”. VHI has been located on Dublin’s richly historical north inner-city Lower Abbey Street since the mid–20th century. The development of the Scots Church site, given its central location in the urban core of the city was inevitable. 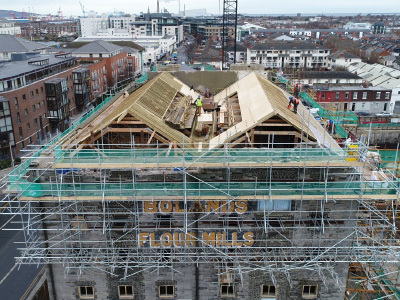 The challenge for the build was how to adapt these buildings and make them useful again and able to accommodate contemporary uses while maintaining as much of the historical fabric as possible and, achieving an economic commercial development to justify the cost of the restoration and adaption of the church, church hall and lecture hall structures. 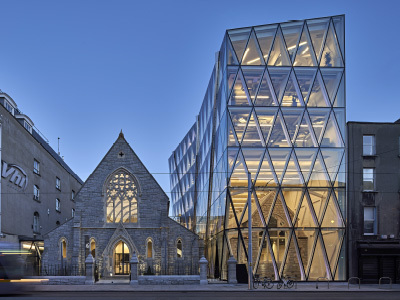 Collen Construction, along with its partners on the design team, set out to construct a unique architectural building, one that would strive to achieve construction excellence for 21st century Dublin. Collen Construction feel that they have accomplished and exceeded what the client hoped for and delivered a truly dynamic yet functional transformative building. The development consisted of two separate commercial buildings with a gross floor area of over 22,000 sq mts for Kennedy Wilson. The basement structure consists of two storeys below ground and extends to the full footprint of the site. Enabling works included the modifications to the existing state street basement which comprises of mechanical and electrical relocations, new plant rooms and bathroom facilities and temporary works. The new design for the basement utilised the existing secant pile wall and a proportion of the CFA piles below the -2 level slab. The land rover jaguar showroom shows construction excellence in both how the development was constructed but also in the design and overall look of the building. In the design of the building the architect had to deal with a lot of issues and areas of concern which included the needs of the client, the needs of Land rover and Jaguar and his own views. From the photos and the video it shows that all of these issues have been addressed while still giving the building a clean simple look. In the construction of the building it shows the excellence management given by the site team to provide a building of this scale and finish under strict time frames and difficult weather, while providing a high class level of finish. 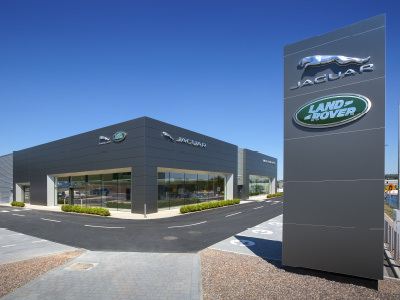 The land rover Jaguar showroom is a high class finished building which offers more than just being a showroom it has now become part of the community and a landmark for people passing the main road from Cork City to West Cork. 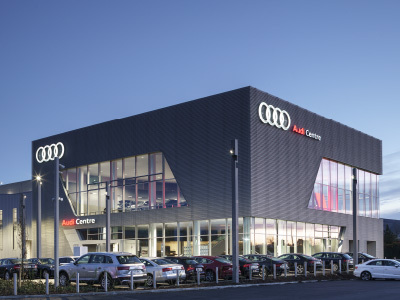 Audi Centre is a new technologically-advanced flagship showroom based around Audi’s newest design concept to provide an unparalleled retail experience for customers and showcase the latest Audi innovations. The project involved demolition of the existing structure to allow for the construction of the new 8750m² 4-storey Audi Centre complete with car showrooms over 2 levels, mezzanine sales offices, storeroom, high-tech workshop containing 18 service bays with state-of-the-art technology and car parking facilities on levels 1, 2 and 3. The showrooms incorporate a modern auto retail design including a high-end feature display area, customer relaxation area with interactive screens, a dedicated handover suite, Audi Café and a kids play area. The building contains a ground floor showroom consisting of a customer reception area, service reception, new car display and new car handover bays. The first floor is accessed via an escalator and contains the main new car display showroom. The project also included associated fit-out works of the showroom and workshops etc., associated site works, drainage and a statutory services installation. 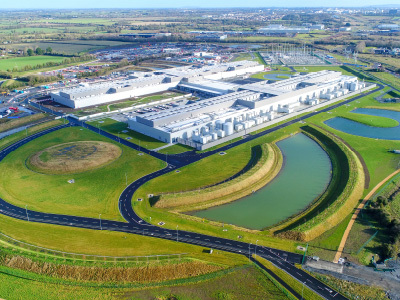 Mountpark Baldonnell is the largest speculative logistics development currently under construction in Ireland. A mac core value is Question Assumptions. A culture of always seeking a better, cheaper, faster way is what won mac this contract. The mac tender submission was underpinned by its innovative ground design proposal. The original design proposal involved removing 20,000m3 of made ground and replacement with imported fill material. The mac pre-construction team proposed a lime and cement stabilisation ground engineering solution whereby suitable material for the stabilisation process was excavated from onsite borrow pits and replaced with material unsuitable for stabilisation. This solution resulted in an almost perfect Cut Fill of materials on site and also reduced the import of quarried materials. Broomfield Construction have 45 years in achieving construction excellence in managing our projects and bringing them to a successful completion. The Nestbox in Castleblayney was no exception to achieving construction excellence but on this job, we excelled at it. Broomfield Construction took on the project from a design that did not identify the risks of the job and through our expertise, management styles and experience we were able to set up a very competent team who very quickly established and overcame all risks to achieving a project that came in on time, on budget and with a quality that is rarely seen in an industrial unit of this size. Phase 1 was handed over successfully to the client on the original requested date and the factory was able to open up and pass all associated food processing audits while phase 2 construction site was still ongoing. 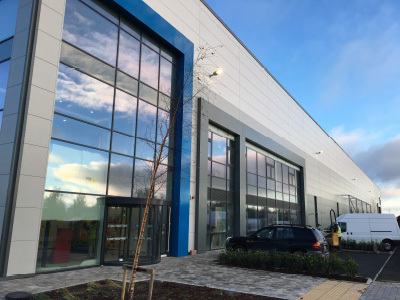 Phase 2 was a building situated between the new and the existing food processing factories and the contractor successfully allowed the client to carry on with their business unhindered while we could continue and progress our 2nd phase and leave ready for their next expansion. 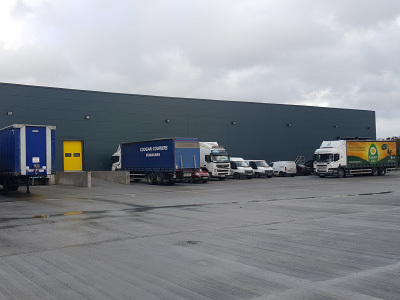 The Nestbox is a large eggs packaging facility that now supplies eggs of all grades to all major Irish supermarkets and is now expanding to export to Europe and Arabia as a result of this successful construction. This has been a major boost to a small border country town in terms of employment and business at both construction stage and in the end product. 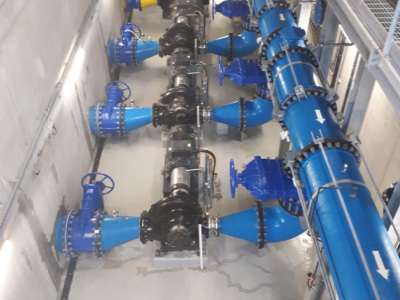 Electrical & Pump Services Ltd /Sorensen CE Ltd.
Youghal Main Drainage Scheme | Electrical & Pump Services Ltd/Sorensen CE Ltd. Contractor: Electrical & Pump Services Ltd/Sorensen CE Ltd. The project consisted of the construction of a new plant capable of meeting current emission standards and the renovation of the sewer network within the town. The new plant was constructed on ground previously reclaimed from the sea within a flood risk area. The works on the sewer networks were to be carried out in a heritage town with populations and activity far in excess of the normal population during the summer months when tourism is at its height. Challenges overcome included the soft ground at the site of the works. This was achieved with 220no. pre-stressed concrete driven piles ranging in length from 12m to 31m & 54no. and Circular Hollow Section (CHS) steel driven piles ranging in length from 12m to 31m. The plant is constructed in a flood risk area and the plant has been constructed to be flood resilient. Measures incorporated include flood barriers at doorways, MCC room on the first floor and other vulnerable equipment installed on plinths to raise it above anticipated flood levels. Design for Manufacture and Assembly was used extensively for the M&E elements of the plant. This had many advantages in programming, costs, safety, quality, environment and energy management. Shannon Airport is vital to the local economy of the region. A review of its 30 year old runway identified the need for major renewal works to extend its working life. SAA/RSP embarked on an innovative procurement process to identify a contractor that would work collaboratively with the team to deliver the project under strict time and budgetary pressures. Lagan were selected on the basis of their experience, resources, technical ability and price to help finalise the scope, programme and price. This inclusive process resulted in completion ahead of schedule, within budget and with an enhanced runway life of 20 years. The project was micromanaged on an hourly basis to ensure the operational status of the airport was maintained throughout the project period. Health & Safety, Quality and Environment issues were all given the highest priority. 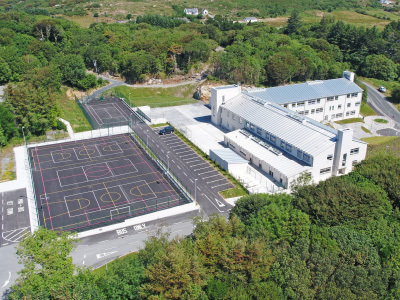 JJ Rhatigan, one of Ireland’s leading construction companies, is proud to have successfully delivered Clifden Community School for its client, the Department of Education and Skills. Located in a spectacular semi-rural setting, Clifden Community School caters for 425 pupils and 38 staff. It was built in front of the existing live school which first opened its doors in 1979. As the site was located near an area of special conservation, JJ Rhatigan had to ensure that no contamination or pollution with the flora and fauna happened. A Preliminary construction management plan was therefore set out. The most distinguishing feature of the project was the amphitheatre. The amphitheatre is a stepped grassy mound that was conceived as an outdoor teaching space. It takes advantage of the scenic views and opens up to the visitors approaching from Roundstone and Clifden. 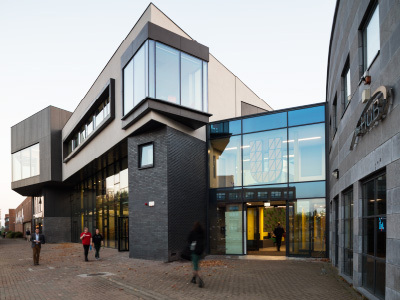 This new building provides a very comfortable student experience for all pupils and staff in the building and will be enjoyed by generations of students to come. The DCU “U” Building is a significant addition to the DCU Glasnevin campus and is truly the locus of student activities in DCU. The building creates spaces for both student activities, club, and societies and is a platform for student democracy, advocacy and interaction. The transparent and open design of the building which is centred around a central auditorium space is unique and challenges the perception of what a university building should be and ought to be. It is the first in a new breed of student union buildings, which aims to put the student experience to the fore, in the delivery of third level education. User centred and designed to provide flexibility in use for the duration of the building’s lifecycle. 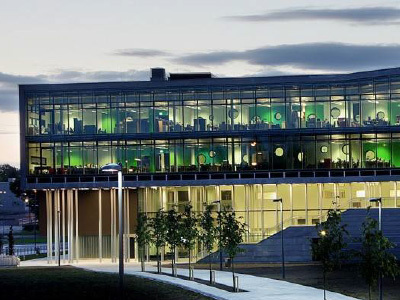 The design and construction of this unique building posed both challenges to the designers and the construction team who worked in close collaboration to deliver a building of excellence for current and future generations of DCU students. 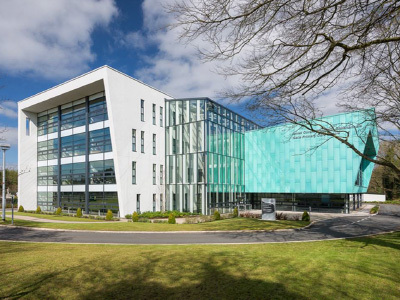 In built form, this building embodies the stated ambition of the University, to create a student focused, transparent and modern campus buildings which underlie DCU’s position as Ireland’s fastest growing university. 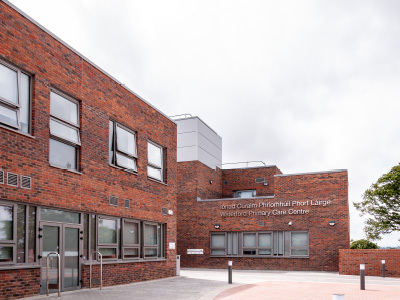 Kells Primary Care Centre, located on the Dublin Road in Kells, Co Meath is a 30,000 sq ft (approx) state of the art medical facility, catering for the people of Kells and wider environs. 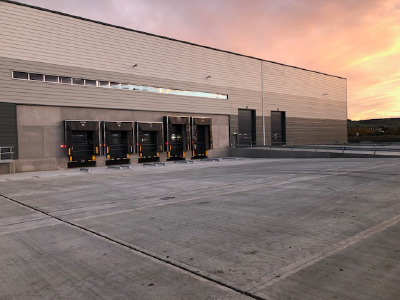 This gateway building has been constructed using the highest quality materials, which will ensure it stays looking its best for many years to come. The building is broken into two distinctive blocks, over three and four levels, which are connected via fully glazed atrium space with linking bridges at each level. The atrium acts as the entrance foyer and meeting place, accessible from both front and (main) rear doors and contains a coffee dock for staff and visitors. From here users can take one of two passenger lifts or the stairs to any of the upper floors. The buildings footprint has been kept deliberately small to reduce walking distances and consequently the amount of time visitors have to spend in the centre. Designed to be fully accessible to all users, there are over 100 car parking spaces, including five disabled parking bays located to the rear of the building. There are also ten cycle parking bays located under shelter, located adjacent to the car park. A comprehensive landscaping strategy has also been implemented throughout the development, providing a mixture of hard and soft landscaping areas around the building. The building has achieved an A3 BER rating. 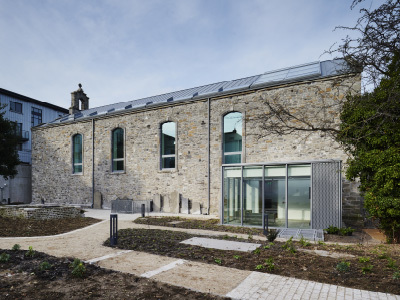 The transformation from a dilapidated building with questionable future potential has been saved by Kennedy Wilson for the future and now provides a use that is critically required within Dublin City. 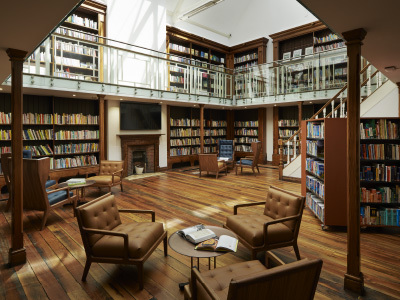 The building required a vast investment from our client to achieve this feat, and our client and their design team strove to maintain the heritage of the building from its original form to that offered with its change of use. The project exceeded the expectations of all members of the team tasked with achieving same. Conservation and conversions are extremely difficult endeavours and rarely achieve a result which, does not exceed the agreed contract sum and budget, maintains the programme for completion and exceeds the expectations of the client and their design team. 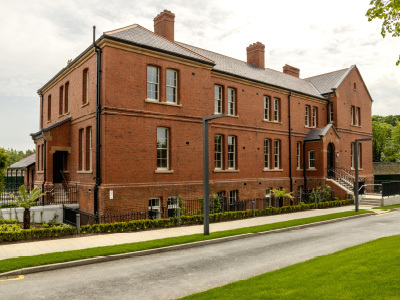 The works by Glenbeigh Construction Ltd to the Clancy Quay Mess Building achieved all three for the client Kennedy Wilson. 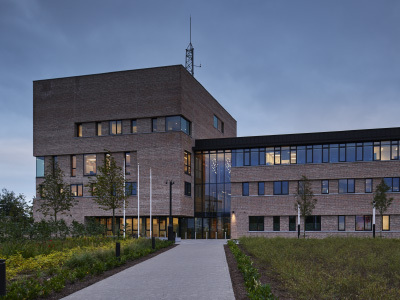 The project built by Duggan Brothers involved the development of a new divisional Garda Headquarters (circa 4,000m2) for Wexford Town. The development consists of a three and five storey building, along the Mulgannon Road, stepping down to a single storey at the rear. The scale and massing of these distinct volumes are reflective of the main functional elements of the Garda Station. The five storey block houses the administrative support areas, which is linked to the three storey administrative block via a series of bridges that traverse the public atrium. The custody area and prisoner processing area, along with other technical support areas are contained within the single storey structures, which also form three sides of a secure courtyard. The site was a brownfield site which previously contained a malt distillery which was demolished prior to Duggan Brothers commencement on site. The care taken in the execution of the key design details throughout the building is undoubtedly evident, for example; the interface between the brickwork and limestone cills and plinths. The clarity of the junctions and the quality of the workmanship are apparent throughout the building. The generosity of the key spaces, with particular reference to the atrium space is magnificent. Kevin Street Garda Station, Dublin is the Divisional Headquarters for An Garda Síochána in the south inner city. 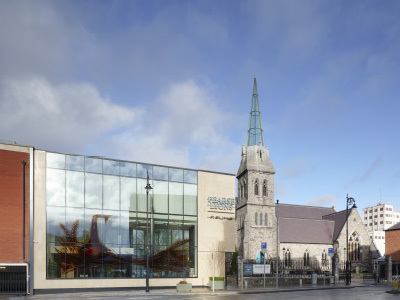 It was designed by the OPW as a civic quality building responding to the specific site context and its historic surroundings. This impressively engineered building extends to 6,840m² of office space with a 5,400m² double basement. It cantilevers 5 storeys over Bride Street and has a 6-storey glazed internal atrium. JJ Rhatigan’s construction management excellence is showcased in this landmark project through both the scale and complexity of the build and the quality of materials and craftsmanship. One of the most impressive architectural and structural elements is a spectacular curved and cantilevered granite stair, spanning the full height of the atrium. Another extensive element of the construction is the joinery detail, 8,630 linear meters of solid ash was used in the atrium fittings and louvre framework and the oak brise soleil feature runs the length of the curved corridors on all floor levels. 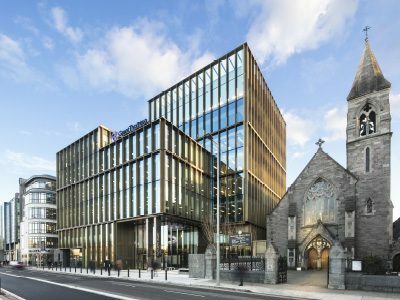 Benefiting hugely from a close collaboration between JJ Rhatigan and the OPW the final result provides a great example of cutting-edge architecture, engineering design and construction excellence which is a great addition to the south inner city. The finished building occupies the full footprint of the site on this busy city centre junction and the contemporary design reflects An Garda Síochána as a modern policing service. Kevin Street Garda Headquarters replaces the existing station, formerly known as St. Sepulchre’s Palace. The contrast couldn’t be greater between the old station and the new Garda facility, truly a building for the 21st century. The Sacred Heart Church in The Folly, Waterford is an iconic landmark structure located in the heart of Waterford City, and it is a protected structure. The building was originally constructed in 1973. The building occupies a site of 0.7338 ha. The building extends 1932m2 which overlooks a large residential area. The building is in existence for over 45 years and as with a building of this age a number of issues had evolved over the years mainly, the existing copper roof and Dalle De Verre panels had begun to fail which caused water ingress in a number of areas. Our challenge was to complete the required works in an agreed manner that did not impact the daily ceremonies in the Church while managing a busy construction site and the co-ordination of multiple sub-contractors on an approx. roof area of ¾ of an acre. Kevin Street Library is a small branch library, set in the City Centre of Dublin that first opened to the public in 1904. 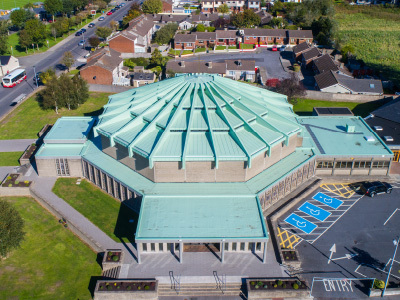 As a flagship branch of Dublin City’s Library network, it stood as a cornerstone for the neighbourhoods it serves; connecting people to each other and to their community. In June 2013 it was closed for urgent repair work to the roof drainage and rooflights. Kevin Street Library reopened its doors in 2018 following an extensive refurbishment project to restore it as an accessible, relevant and socially inclusive public library by Townlink Construction Ltd. The refurbishment works involved the provision of a new lift shaft on the periphery of the building, new access ramps, accessible WC’s, as well as works to upgrade the building for fire safety and environmental performance. The foundation stone of the Presbyterian Church in Abbey Street was laid on the 6th of May 1868. The church, which took the name ‘the Scot’s Church’ in 1929, comprises three separate building structures in a Victorian Gothic Revival style. A mandate was set by the client to assimilate the protected buildings into a new HQ which would, wherever achievable, respect the cultural, religious, historical and architectural heritage, with minimal interventions. 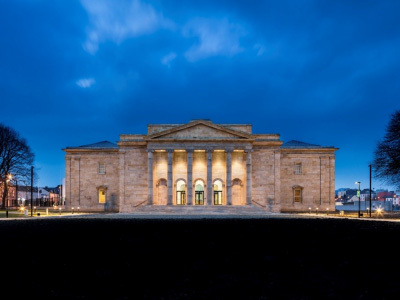 The overriding conservation principal for the project has been the reversibility of any interventions, ensuring that no aspect of the historic fabric will be permanently affected by its provision. The protected structure was to integrate and form part of a city campus style outlook coexisting with the new exoskeleton building. This vision was realised by proficient collaboration of design teams, construction professional team and highly skilled specialist contractors working together as an efficient unit resulting in a completed project succeeding beyond client expectations and robustly meeting the needs of a growing business model. Among the numerous feedback quotes recorded is that “many say that it feels like working in a new and better organisation”. The goal was to realise and achieve dynamic internal spaces and unique working environment which workers can be proud of and enjoy. To create an identity for a new chapter in the evolution of the client’s business and, a workplace and place of learning and innovation. The decision of the readaption of the old and new and the weaving and integration of elements and building fabric into a cohesive component was the defining scope for the internal spaces to create a city campus style configuration. The execution and implementation of the vision was provided by collaborative partnering with specialist trusted contractors harnessed from a dependable supply chain with a proven track record in fit out sphere. The management, control process and communication skills demonstrated to deliver the project were exemplary and resulted in the project succeeding beyond client expectations and robustly meeting the needs of a growing business model. Among the numerous feedback quotes recorded is that “many say that it feels like working in a new and better organisation” and the word “transformational” from a client staff member defines the success. 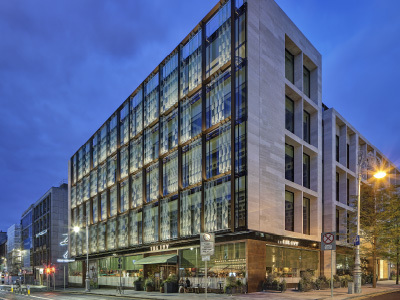 The project involved the full refurbishment of the 1839 built old Cork Savings Bank located on 1 Lapps Quay and 16 Parnell Place. Also included in the works was the demolition of a number of existing modern built outbuildings, followed by the construction of a 3 storey steel frame extension. The requirement from the design of the client was to ensure that the full use of the building and its ground footprint where achieved. 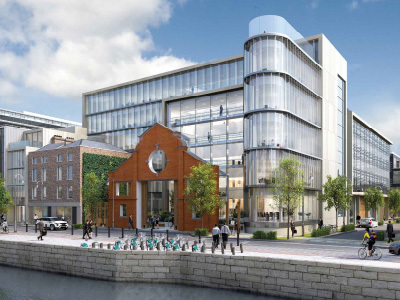 Another key point in the design of the UCC CUBS Lapps Quay development was to ensure there was a clean interaction between the old and new building. As the works were completed to both a modern build extension and the refurbishment/conservation works to the old saving bank it was very important that the reuse of existing material and the protection of the existing building features were achieved. This was a key requirement of the design team and client for the overall project outlook. This building shows that with a detailed design and highly motivated construction team anything is possible. Zendesk EMEA HQ | Walls Construction Ltd. 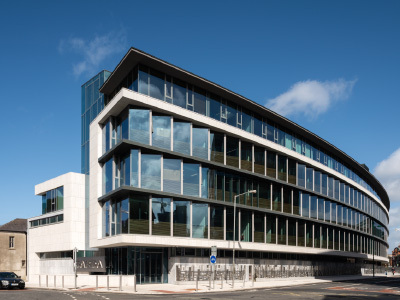 The completed building for Zendesk at 55 Charlemont Place is viewed by many who have visited these offices as one of the best work environments in Dublin. The collaborative approach by the client and project team facilitated excellence, in both fit out design and construction, while Walls management supported the client and designers to fully meet their goals, without risking compromise on the objectives of programme and budget. The challenges faced by our team during this project and our complete dedication to overcoming them without affecting the key goals is noteworthy and deserving recognition. The completed project achieved the highest standard of quality in coordination, workmanship and materials, whilst also maintaining excellence in health and safety onsite. A commitment to value and flexibility enabled design changes whilst adhering to the project cost plan. 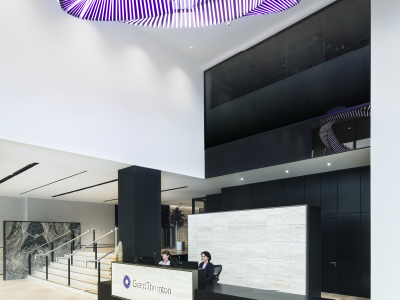 Bennett Construction were the Main Contractor on the high spec office fit out of a custom-built new headquarters on City Quay for Grant Thornton. 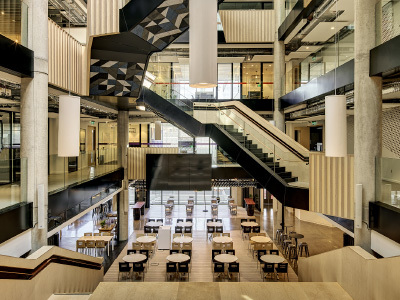 The seven-storey building was designed by Henry J Lyons, the fit out designed by MCA architects and built by Bennett Construction with input from Grant Thornton throughout the design, build and fit out. Occupying six of seven floors in the building, the move provides Grant Thornton with 115,000 square feet of floor space, with hot-desking and paperless working at the firm set to maximise the space further. Key features of the new building include 360-degree views of the city through the 994 panes of glass that make up the structure. It has an open plan layout with a mix of collaborative and quiet work spaces, new cyber/forensics lab, the latest virtual conferencing technology, client lounge complete with café and roof top terrace and the Academy – a dedicated facility for graduate training and development. 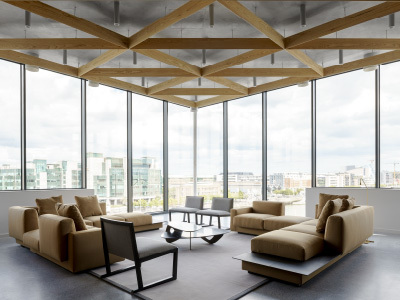 CDB Aviation had a clear vision for the fit out of its first European office – a sleek space that reflected its commitment to a bright future for its staff at their new EMEA HQ by the Liffey. By the end of the project, Flynn had transformed CDB’s penthouse-level office into an ergonomic, environmentally friendly space. Flynn prioritised high-end finishes throughout, including marble countertops and flooring, while architect Henry J Lyons design integrated all detail with the team. Timber was used to stunning effect, underlining the client’s vision for this airy space. The aviation industry is becoming more compact and competitive; to counteract this, CDB wants to set up operations in as many countries as possible. Its new Dublin office, its first foray into Europe, sets out its stall as leader in its field. ACB Group were appointed as specialist subcontractor to Mac Group for design and construction of both the structural steel frame and external envelope of Mountpark Baldonnell Unit A. Kingspan products were specified & used throughout. High levels of quality were specified & achieved with continuous client & supplier inspections demonstrating the highest quality installation. An air test result of 1.11(m3/h)/m2 from a target of 3.0 (m3/h)/m2 further demonstrated the installed quality over a tight 16 week programme. The impressive air tightness test result achieved in addition to the high praise received for our quality installation from both the main contractor and client representatives are key indicators of the projects success. As the hammers fell a bygone era of Dublin elegance and glamour began to emerge from the dust, carefully each ceramic tile was lifted, one by one they came out until the carpenters stood before what looked to be a black and white marble floor – a shadow of its former self it had been hidden for many years beneath this ceramic floor – completely forgotten. Now it was back in the daylight with considerable damage, sections missing, holes, cracks and dressed in decades of dirt. To the untrained eye, this sorry sight that once played host to Royalty looked as though it would be lost forever. With skilled tradesmen and clients with a passion for restoration – this floor was about to be saved. 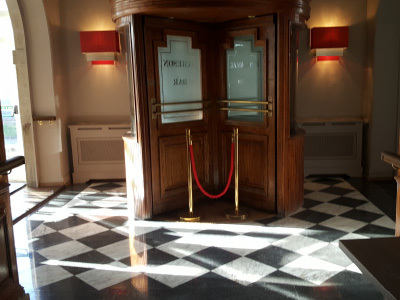 Marble and Tile based in the heart of Kildare whose skills and passion for natural stone made them the perfect custodians for this piece of history restored this floor to its former beauty once again functional and true to its original self. A focal point, and something everyone is very proud to have been involved with. One Molesworth Street is an outstanding development of the finest quality design. The project involved the construction of a six-storey over 3 basements mixed-use development. The construction of the building was far from orthodox and as a result Cobec Engineering had to look at a number of innovative ideas to overcome this including using pre-made product to allow for faster installation. The building had to be commissioned in stages as it came available to the testing team at Cobec Engineering. 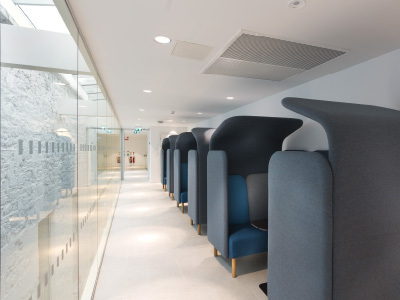 One Molesworth Street was delivered to the Client and the Design Team expectations. 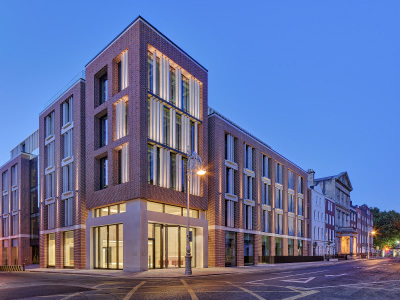 One Molesworth Street meets the highest standards of sustainability and achieves the LEED Platinum accreditation. This project sets an example for the construction industry as to what is possible when innovative design is embraced. The project asks us to look beyond obvious development sites to overcome housing issues in our country. It also demonstrates how passive house standards can be achieved simply through careful detailing and clever construction methods. 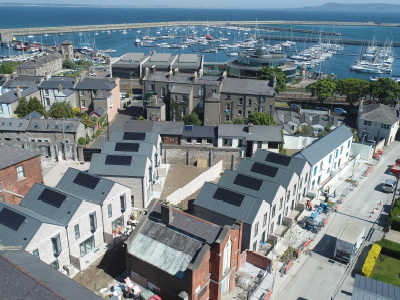 This project shows that a much better standard of housing stock is possible with an emphasis on energy efficiency, light and quality of space regardless of the many restrictions a site may offer and therefore deserves recognition in the context of our current housing crisis. The extremely difficult site conditions led to an opportunity which instigated an unusual built form that nevertheless is successful in terms of its form and function. In this way the project also asks us to question the status quo of housing development styles in Ireland and expresses a need to explore different design solutions and construction methods. 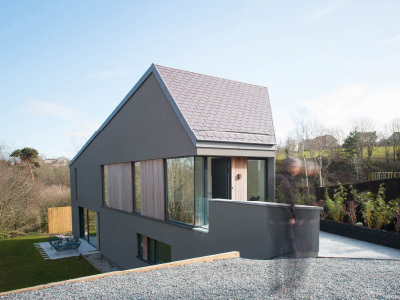 The builder and design team relationship was also explored in a different way and this project has shown that design & delivery processes different to the norm in the Irish construction industry can be very successful. Ballyboughal, is a village in central Fingal within the historic County Dublin. There is a lot of history attached to Ballyboughal. The name means “the town of the staff” and the Bachal Isu (Staff of Jesus) was protected in this area until it was moved to Christchurch in Dublin. A river runs through the centre of the village. The area is a place of natural beauty. Providing collaborative team building, budget awareness, schedule maintenance, safety and technology were all key factors in delivering a housing scheme that blends into its surroundings, has a positive psychological impact on its tenants while ensuring every effort was made to achieve the required level of quality, sustainability, regulatory and legal requirements of the client. 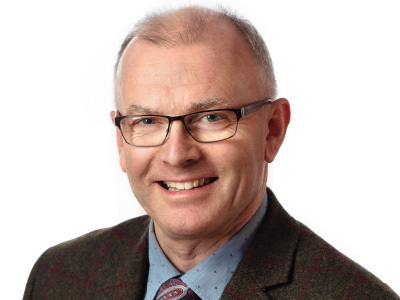 Lead Architect: Fingal County Council Architects Dept. The project involved the construction of seventy-four dwellings with associated external works and site development works. 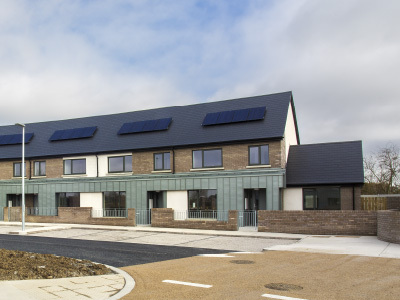 Consisting of 29 two-bed, 36 three-bed and 9 four-bed two storey units, the scheme was designed by Fingal County Council’s Architects Department using a collaborative BIM process and the site works and landscaping have been designed in accordance with DMURS principles. Site supervision and project management was carried out by a consultant team with an in-house Clerk of Works inspection regime. 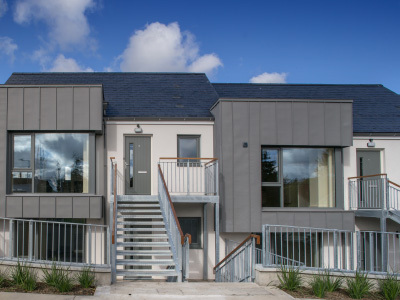 The exceptional quality of this project, which has been delivered on time and on budget, has set the standard for social housing delivery in Fingal County Council for the future. The estate has already developed a strong community spirit normally associated with more established estates and is seen as a very positive contribution to Lusk village. 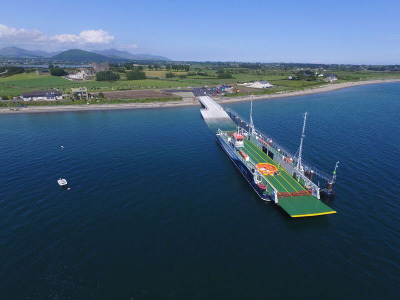 C&A delivered a best in class project, in very challenging circumstances, not least of which were the extreme weather conditions experienced during this project. Despite this, C&A believe that the high-quality finish achieved, together with the delivery on programme, offer the Employer excellent value for money. These units are expected to be occupied for 60 years or more, an energy-efficient design that will yield considerable savings over its lifetime. Although some energy-saving measures can be implemented at a later stage, retrofitting is often more expensive and less effective than incorporation at original time of construction. 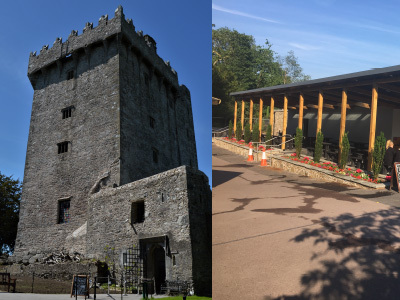 Credit goes to the work of the architect on this project, Letitia Hanratty, MRIAI, from Kildare County Council’s Architectural Services Section, who designed, and project managed the scheme from inception through to completion. Both Client Management and C&A management worked together as a team, in delivering such a high-quality development, which we can all be proud of, for many years to come. The standards implemented by C&A, in relation to Quality, Health & Safety, Energy Efficiency Ratings and sustainability ensured that expectations were far exceeded for this development. Located in the less developed southern side of Balbriggan, the area is elevated and offers spectacular views over the Mourne Mountains, Ardgillian Park and Skerries. The houses are brick and pebble-dashed providing a low maintenance home and area, therefore, ensuring that the area will always look presentable. These homes have been extremely popular with prospective buyers due to the large amount of space on offer which extends to 112m2 (1325 sq. feet). These are spacious modern homes for a dynamic family with a thoughtful spacious design. The large kitchen, dining and sunroom are open plan to allow a fluid flowing area. The generous living room incorporates a bay window which floods the area with natural light. Outside, the cobble locked front allows for two car parking spaces along with two flowerbeds. Furthermore, all of these houses boast sun-filled back gardens, ideal for anyone who enjoys relaxing in the tranquillity of your garden. The idea is to offer the realistic price of €280,000 and give buyers that little bit extra. 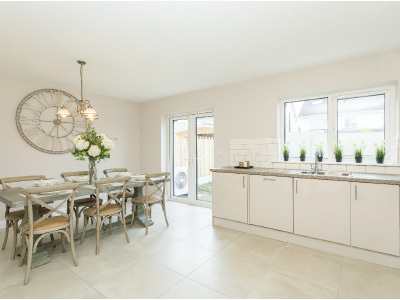 This attitude is reflected in the finishes of these homes – tiling in all these homes, along with quality Irish made kitchens and built-in wardrobes from Nolan Kitchens. 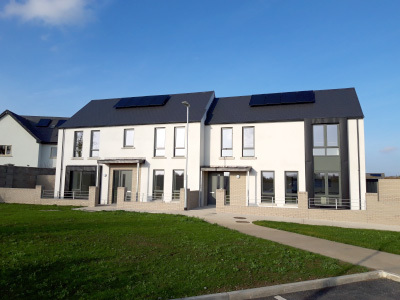 Another important feature of these houses is the 21st century heating and energy efficiency that J Wade Developments have incorporated to ensure A2 building energy rating (BER). 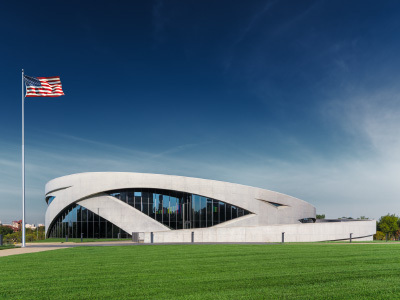 APA Facade Systems won the tender to design and manufacture a bespoke curtain wall system for Flynn Group of Companies project at The National Veterans Memorial and Museum. APA Facade Systems provided Flynn with the complete package, including the design and fabrication of the facade systems, logistics management and a technical back-up service. 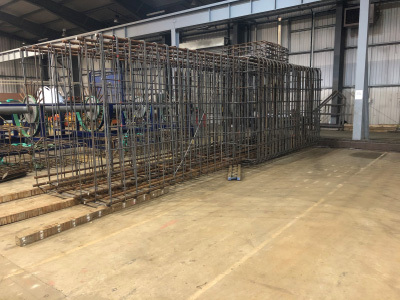 At the beginning of the process APA Facade Systems fabricated two full-size mock-ups of the facade for the NVMM, one on site in Ohio and one in its factory in Dublin. Flynn’s site supervisor spent a week in its office to install the mock-up facade, learn about the installation process and iron out any issues that arise. This process was then replicated on-site in Ohio by the same supervisor to provide the installation team with the knowledge and understanding to complete the installation. A specially designed facade system was installed consisting of free spanning mullions up to 12.5 meters high. This bespoke curtain wall system surrounds the entirety of the NVMM building with the total cost of the glazing works surpassing $10 million. The National Veterans Memorial and Museum, officially opened its doors on the 27th of October 2018. Midland Steel Reinforcement Supplies Ltd.
London Bridge Station Redevelopment | Midland Steel Reinforcement Supplies Ltd. Contractor: Midland Steel Reinforcement Supplies Ltd. The London Bridge Redevelopment brought a modern, spacious and fully accessible train station fit for the twenty-first century. Network Rail described this project as “the most ambitious station redevelopment in a generation. 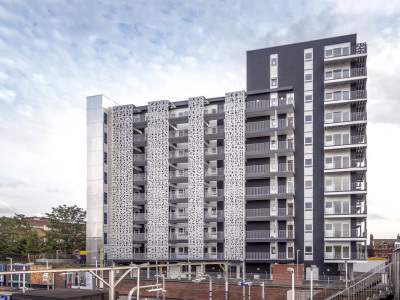 Costain Group contracted this redevelopment with Midland Steel Reinforcement Supplies responsible for the design and prefabrication of all reinforcing steel elements. Midland Steel’s involvement consisted of developing a detail and design of steel reinforcement to allow the prefabrication of 24-individual hour shaped columns and crossheads. The resulting design included 451 bars of which none had the same angle shape or dimension. This was made possible through 3D modelling the prefabricated solutions with efficiency and safety at the core of the innovations. This is a project that Bennett (Construction) Ltd were extremely proud to have been involved in as this being its first project with a new Joint Venture client (Taylor Wimpey / Countryside). A collaborative approach was engaged from the outset and finding solutions to any problems to deliver the project ahead of programme. An open book collaborative approach with the client worked extremely well as all decisions were streamlined and closed out with little or no hassle and as a consequence, Bennett (Construction) Ltd is now working on two further schemes for the Client. The Horizon Building plays a key role in the transformation of Ilford; what was once an industrial and commercial area is becoming a vibrant residential quarter. This sub-urban area with attractive commuter opportunities into and around London, is evidenced by the three new additional residential developments presently under construction, along with the advancement of Crossrail upgrades and new train connections. The building’s design is attractive, modern, multifunctional and an exemplary statement of what can be done to help lift the profile of an area. The building was designed by leading Architects, Farrells who are known for their ability to “create something special”. The standard of accommodation within the units is excellent, juxtaposing high-end finishes and abundant natural light to create an inviting and comforting feel. Thoughtful multi-purpose areas such as the roof of the retail space at level 1 allow for outdoor recreation and a sunny place for families to spend time together. The Horizon Building is ultimately a catalyst for the modernisation of the Ilford area, representing its potential for future prosperity. John Paul Construction are proud to have had the opportunity to be part of this forward-thinking project. JJ Rhatigan is proud to have successfully delivered Callis Yard, Woolwich for its client, Urbanwise and ‘Optivo’ Housing Association. The project benefited hugely from close collaboration with the client and the final result provides a great example of contemporary architecture and construction excellence. 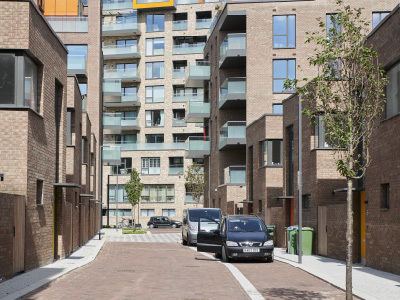 When JJR were awarded the Callis Yard contract in 2016, the Woolwich area was at the front end of a full regeneration with a new Crossline and a plan redefining its future and embracing its past. JJR feel that it played an important role in this great, future-changing plan because Callis Yard is a location for those that embrace variety, a new community that combines engaging heritage buildings with distinctive contemporary architecture. The bright and light residential apartments and the heritage listed stables conversion creates a vibrant, new and contemporary community in the capital close to the Thames. Many apartments have spectacular views across London and the mixed-tenure provides a unique, quality affordable housing offering. Ardmac introduced a LEAN culture and ethos along with the Last Planner System into their business in 2017, the results have been phenomenal with significant benefits across site management, safety, quality, commercial and schedule. The implementation and leadership lead to change in behaviour, culture and improved engagement levels across their organisation, benefiting all involved especially clients. This approach has formed the foundation of Ardmac’s LEAN Strategy for the future. 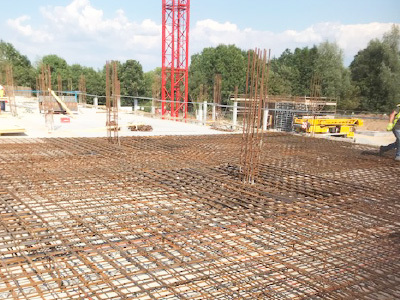 Prefabricated Double Skin Slab Reinforcement | Midland Steel Reinforcement Supplies LTD.
Midland Steel prefabricate Double Skin Slab Reinforcement panels for the Irish and UK construction markets. This off-site prefabrication saves up to 75% of time when compared to the traditional on-site method of steel fixing. This product gives the client a distinct time and quality advantage over the traditional method and requires as little as two steel fixers to install the panels on-site. From the company’s experience during previous projects, a panel up to 50 m2 can be installed and fixed under 15 minutes. These panel are pre-slung to allow an efficient installation process and are supplied with a Temporary Works Design Certificate and an installation key plan sequence. The specific issue with the Swords Watermain Rehabilitation Scheme centred on an old troublesome watermain that ran through the very heart of the Swords Town Centre. Having erupted and caused extensive and widespread damage to the town centre on more than one occasion (more than 30 times since 2011), urgent action was required to prevent any similar future occurrences. The detrimental impact that this problem was having on local businesses and more specifically, the local community, was both significant and indeed well documented across regional and national media platforms. Daily disruptions to the lives of those in the Swords Urban Area were becoming all too familiar. 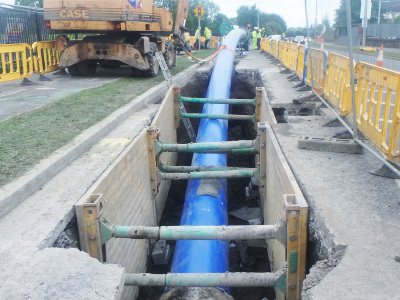 These disruptions were in the form of prolonged road closures, necessitated for large watermain repairs and sometimes with large sections of the road being damaged, property flooding issues and loss of water services to large numbers of water consumers. On an economic level, this issue was even beginning to affect the reputation of Swords, a gateway for international travellers heading to and from Dublin Airport, as being a good place to do business. Quite simply put, immediate and urgent action was required to secure a long term solution to this problem. The Irish Water target was to save approximately 1.66 million litres of water per day. This was achieved, ahead of programme and within project budget. Digital Project Delivery (DPD) | John Sisk & Son (Holdings) Ltd. Contractor: John Sisk & Son (Holdings) Ltd. This solution has delivered exceptional results through exceptional practices, ultimately shaping a solution that has set a new bench mark in data centre delivery. The combination of an innovative modular design born from a rigorous and collaborative DfSMA methodology, blended with the appropriate application of the latest technology and a people centric planning system all come together to deliver a project safer, better, faster with less effort and frustration. Additional Benefits: Reduced transport and congestion on site, Real time project transparency, Improved planning capability, Reduced meeting preparation and reporting, Improved data integrity, Robust platform for continual improvement. 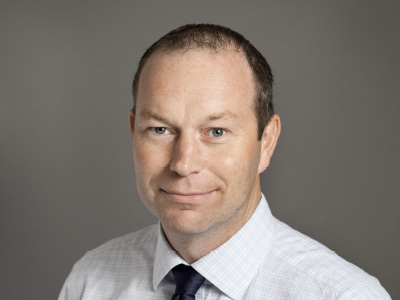 John’s qualifications and obvious commitment to CPD, when combined with his 22 years’ experience, result in an extremely competent Construction Manager with a skillset to tackle any challenge. 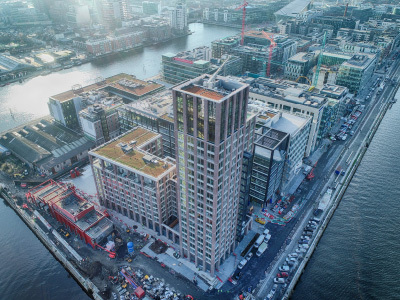 Ultimate success of the 10 Molesworth Street project and John’s management performance is evidenced by IPUT’s desire to negotiate another project on Sir John Rogerson’s Quay, which has recently been awarded, with John again leading the team. My love for construction, managing complex and iconic structures and the continued quest to excel and improve has always been my lifetime goal. There is a fantastic sense of personal achievement when walking past projects that I have been involved with. These traits coupled with sound construction knowledge and experience and the respect for clients, consultants and fellow colleagues are the key ingredients to being a Professional Project Manager. 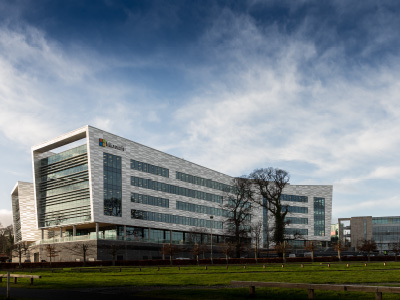 To have been given the opportunity to work on the iconic Miesian Plaza was truly an honour, whilst painful and challenging at times, we ultimately delivered a project that John Paul Construction, Remley Developments and indeed the people of Dublin can be proud of. The lessons learnt on Miesian Plaza still resonate within the Company. 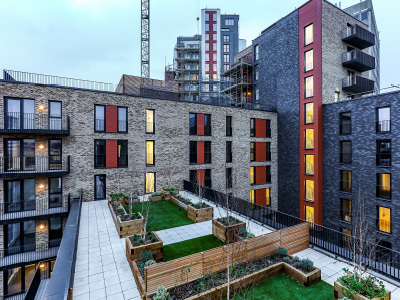 One of the standout results from the project was the alternative design and temporary works solution for the main core alteration works of block A. 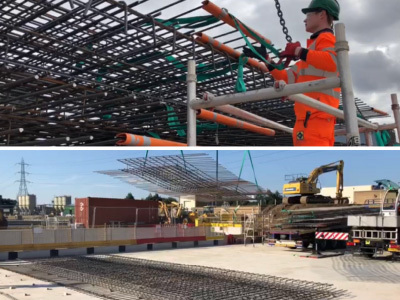 By introducing a number of temporary steel frames through the 11 storey block A, the demolition and reconstruction of the central concrete cores was able to proceed in a 2 stage process, instead of the original 4 stages which had the potential to delay the completion of the overall project. Ultimately this final solution saved over 6 weeks from the overall programme of works. Following the successful implementation of this temporary works approach at Miesian Plaza, I was able to pass on this design solution to other Construction Managers within John Paul Construction during the design development phase of the €37 million Seamark Building, which required the reconfiguration of the main lift and stair cores of the building. My solution was taken a step further and the steel frames utilised in both the temporary and permanent works led to further savings in time and cost for the Client on a project further complicated as the façade was retained throughout the demolition. The personal attributes referred to above that I possess are obtained over time, endurance, wanting to learn more, keeping up with the ever evolving nature of the construction industry, my desire to share knowledge and mentor my younger professional colleagues. 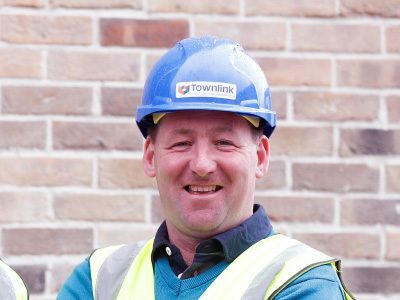 Michael Faherty is Townlink’s Project Manager of the Year. This is in no small part for his exemplary leadership of the ESB International fit-out project, which involved an ambitious timeline and a fixed budget. The culture Michael establishes onsite is one of trust, communication, teamwork and pride in the work. He also makes it easy for anyone to speak with him directly, discuss and resolve issues. This leads to a great feeling of success and achievement from every member of the team, as well as speedy and efficient resolution of any issues that crop up. 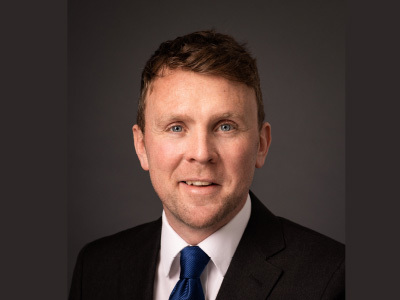 Michael has supported the careers of several team members to grow and develop, he has given responsibility and encouragement to his direct reports so that they may broaden their skills, gain valuable experience and achieve their own career goals. This was a complex project with this level of difficulty and complexity. Every aspect of the project was a challenge: planning and executing city centre demolition logistics; piling 210 piles next door to the Abbey Theatre; having to communicate with workers how to deal with heroin use and anti-social behaviour surrounding the site; balancing the demands of a challenging build with the interests of local businesses and residents; the conservation and restoration of a 150 year old church; building a 21st century office block above the church; sloped roofs with leading edges over the Luas tracks; having the client’s head office located adjacent to the site; and access and storage issues. As Project Manager on Scots Church, I’m proud to have led a dedicated team through these challenges. Personally, it has been very satisfying to deliver a high quality, unique project to the client, that has exceeded the client’s expectations. John Paul Construction is an industry leader in the area of health, safety and wellbeing. The company’s management systems have been accredited by NSAI to OHSAS 18001 and ISO 14001 for many years and in 2018 migrated to the new ISO International Standards for safety ISO 45001:2018. 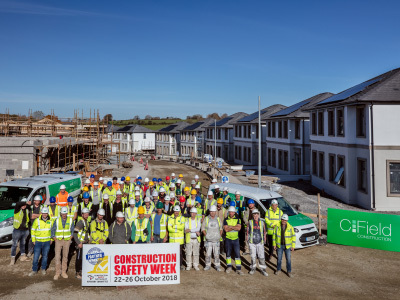 The company has achieved numerous recognition awards for safety including the Irish Construction Excellence Award in 2018 for the WorkSafe HomeSafe Initiative, RoSPA Gold Medal awards 2012 – 2018 and many NISO awards including NISO Higher Distinction and Consistent High Achiever awards in 2017 and 2018, NISO All-Ireland Supreme Award 2016 and NISO All-Ireland Occupation Health Award 2016. John Paul Construction’s health, safety and wellbeing culture is led from Board level with main board Directors actively involved in the performance of each site. With strong committed management teams on all projects with the experience and training to deliver on the company’s health, safety and wellbeing objectives. The WorkSafe HomeSafe programme engages in a real and meaningful way with the front-line workers, including subcontractors and their employees, in a manner that creates workplaces where people work in a safe, healthy environment which promotes positive wellbeing and enables workers to return home safely at the end of each working day. 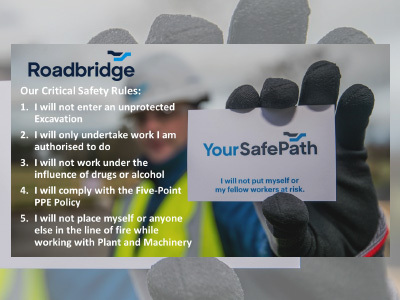 Roadbridge have developed a comprehensive Safety Management System across the entire organisation, with the aim of ensuring that its workforce operates in a safe manner always, so that the risk of serious injury is avoided or reduced. This system is championed by the Board of Directors and implemented by the dedicated safety team, through means such as the ‘Your Safe Path’ behavioural safety initiative. The company strives to continuously improve their systems through the introduction of new technologies and work methods, as well as through well-being initiatives such as Mental Health First Aid and Employee Assistance Programmes. Key to its success is ensuring that the workforce have enough trust in the company to come forward with suggestions for improvement, as they are the people that see day to day potential for injury. They are rewarded for initiatives and suggestions through incentive schemes, and many of these ideas have been adopted across projects as best practice. The provision of a safe workplace has led to continued success at the NISO Awards, and Roadbridge has an average AFR of 0.05, well below the industry average. This is not achieved by luck or accident, but through hard work and constant diligence. P.J. 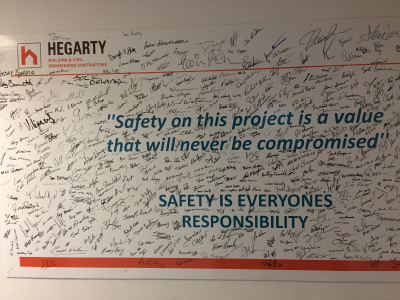 Hegarty & Sons are a long established construction firm with a strong and committed focus on safety and high expectations for safety performances from people working within the company. P.J. Hegarty & Sons promotes and distils a positive safety culture, incident and injury free with no environmental impacts. This value fully extends to members of the public, client personnel or property which may be affected by construction works for the project. PJH assigns responsibilities to all company management that clearly outlines their role in relation to achieving their excellent safety culture on site. This is achieved by management leading by example: Knowing and following the rules (Walk the Talk); Avoiding complacency for the risks of the job, Reporting safety hazards, violations and incidents; Maintaining open communication with all on site; Implementing change to improve safety and working conditions; Encouraging staff to exhibit safe behaviours; Giving positive feedback to people that are working safely; Making everybody aware that unsafe behaviour is unacceptable; Being involved in safety initiatives. PJH believe that you do not need to be a manager/supervisor to be a Safety Leader. The company encourages everybody on site to speak up and authorise all to stop work if it is unsafe. Principle walks are undertaken on projects, which involve senior management from the client, PJH and its subcontractors. Their involvement demonstrates commitment to everybody on site and reinforces the safety message. 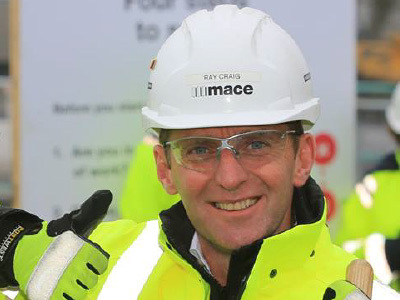 At Mace the purpose is “to lead, inspire and enable everyone to go home safe and well every day.” “Safety first, Second nature” is the value at the heart of its business’ delivery and Mace is committed to continuously improve its performance in health, safety and wellbeing. On the CLN project, the company has fully embraced the above principles and constantly seek to raise the bar in everything it does, by “leading and inspiring”. Mace are fully supported by the client who operate globally, set rigorous standards for their contractors. Within our client’s portfolio, Mace are recognised as going above and beyond the standards required, and are often called upon to present its initiatives and successes to their other GCs. At a recent performance review, their client recognised Mace as “promoting an excellent culture of safety across the project”. A recent British Safety Council audit awarded this project 5 stars, and this culminated in a Sword of Honour award in November 2018. These awards and plaudits demonstrate the company’s ongoing commitment to not only maintain but continually improve standards, and ensure everyone goes home safe and well every day. 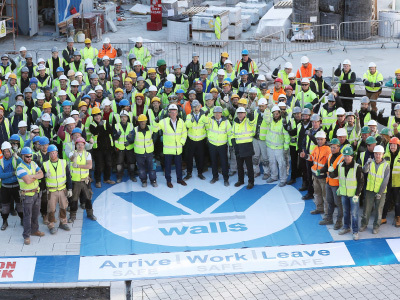 Arrive Safe – Work Safe – Leave Safe | Walls Construction Ltd. Walls Construction maintains its fundamental belief that everyone has the right to return home unharmed at the end of every working day. This is the main driver in its Health and Safety Motto of “Arrive Safe – Work Safe – Leave Safe”. The company is committed to a policy of effectively managing all aspects of health, safety, welfare and wellbeing in its journey towards realising this belief. With initiatives such as “Time to Engage” behavioural safety programme Walls Construction aims to change the mindset of all personnel working on its projects and make it okay for unsafe conditions and behaviours to be challenged without fear of consequences. The company has received numerous awards for its approach to health and safety management and the systems it has in place from the National Irish Safety Organisation (NISO) including a consistent High Achiever Award and Regional Award East in 2018 and the President’s Award for both 2017 and 2016. Walls Construction operates a mature constantly evolving Health and Safety Management System which is externally accredited to OHSAS 18001:2007 and it has commenced on its journey towards ISO 45001. This new standard will provide the company with further enhancement to its current SMS and effective tools for continual improvement. Ardmac has introduced innovative, practical and proactive ways to improve the safety and health of its workforce. 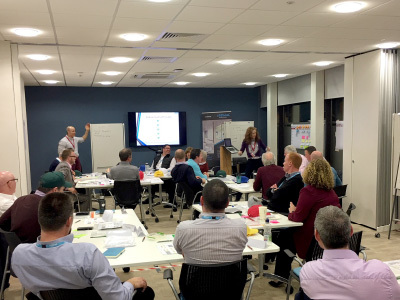 From Safety First conversations to its Safety Advent calendar and interactive learning opportunities, the company works to continuously develop and communicate its Safety First approach and encourage teams to have ownership and accountability for safety across its business. 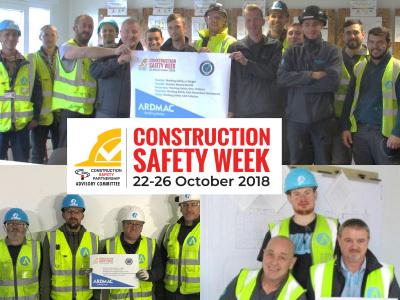 Ardmac’s wellbeing approach also forms part of its safety ethos ensuring awareness of its teams on the importance of maintaining a healthy and safe lifestyle both at work and at home, supporting each other as a team and industry, ensuring Ardmac is always Building Better. The company is fully committed to having a ‘Safety First’ attitude in all it does. It has invested in training programmes, to mentor and support all employees so that each can develop to their full potential, and enable the Company to have the necessary skills, experience and qualifications in all areas, most especially in Health and Safety to allow day to day activities be carried out in a safe manner. The decision to upgrade to ISO 45001 standard is an example of the company’s dedication to continuously review systems and how it actively seeks to establish and maintain the highest possible standards of Health, Safety and Wellbeing. 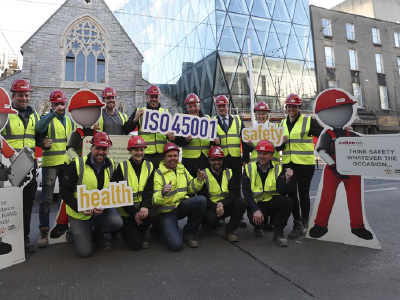 The risk-based approach to managing OHS contained in ISO 45001 has helped the company to introduce a more proactive rather than reactive approach to Health and Safety in the Workplace. In delivering Waterford Courthouse, BAM confirms; that by adopting the principals outlined in PAS 1192- 2:2013 that projects are delivered with more certainty, less waste and improved efficiencies across the board. Therefore, achieving BIM Level 2 on a project greatly improves chances of commercial success for all stakeholders. The decision as to where these savings are realised by each stakeholder is their own to make and will provide commercial and competition advantages going forward. 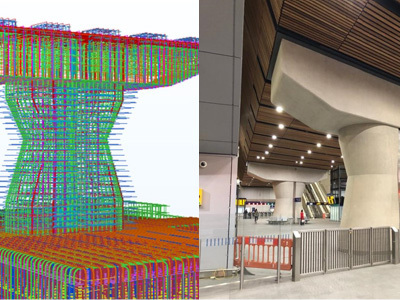 BAM’s project delivery has been significantly improved as a direct result of the available BIM related technologies and workflows. 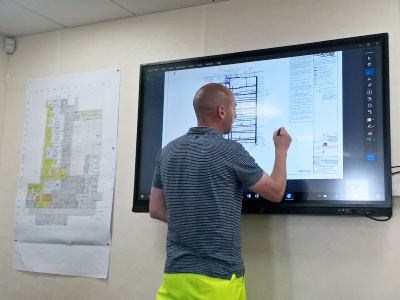 The technology has provided a fully transparent and auditable process which in turn means BAM have had better visibility on the performance and engagement of all project team members such as Architects, Engineers and of course Specialist Contractors. BIM has allowed BAM to have a single source of digital truth for the project delivery. The CLN Project has been seen as the leading project across our client’s Data Centre program worldwide which is currently over 15 projects in size. Many of the innovative processes, workflows and technologies have set the global standard and are now being rolled out across the client’s worldwide program, a strategy which is led by original members of the project team in CLN. 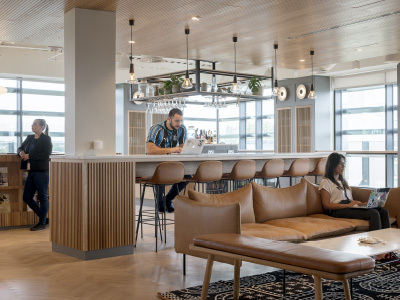 The project has won numerous awards internally within Mace for its achievements and digital transformation, similarly to our client, many of the workflows and processes now being standardised throughout Mace Group worldwide. The project has received the Best Large BIM Project in the world at the Autodesk excellence awards. 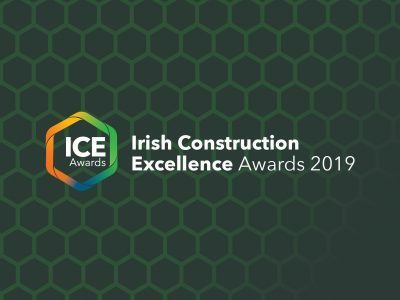 This is the first project in Ireland to win this award. 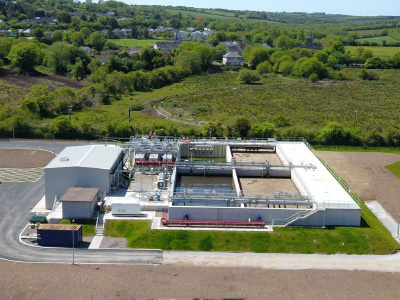 Kerry Central Water Treatment Plant –BIM for Operations | Glan Agua Ltd. 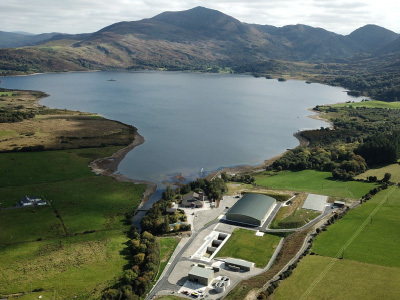 The Kerry Central Water Treatment Plant was one of the first major projects in the Irish water industry to fully implement Building Information Modelling (BIM) and integrate it into all aspects of the project, from design, through construction and into operations. BIM allowed for greater collaboration with the project team (Irish Water, Glan Agua, Nicholas O’Dwyer and Tobin’s) with regards to design reviews, HAZOP workshops and access and maintenance reviews. Through BIM, the Design Team created an intelligent database, into which detailed asset information was collected. This enables the user to focus on the lifecycle information management of assets whereby up-to-date detailed asset registers and maintenance records are available in real time for the scheme. In the past, detailed asset registers and maintenance record were difficult to obtain even for large treatment plants and where they were available were rarely up-to-date. BIM facilitated safer, more cost-effective construction practices which would have previously been extremely difficult on a project of this scale (through 3D modelling, clash detection, ergonomic design, lean construction, QR coding, etc.). This included the construction of the entire administration block of the main building in precast concrete – resulting in a quicker, safer build – as well as extensive prefabrication of mechanical elements such as complex pipe manifolds, scraper bridge assemblies, power sub-stations and so on. Wembley Pink Car Park | Midland Steel Reinforcement Supplies LTD.
Wembley Pink Car Park, developed by Huber Car Park Systems and O’Keefe Construction, is a multi-storey structure located in London. The complex is being built in the shadow of Wembley Stadium and will have space for 290 coaches and 734 cars. Midland Steel provided a fully BIM Level 2 reinforcing steel deliverable during this project. The BIM model acted as an information transfer to the BIM team at all times. Requests, design decision and delivery call offs were performed through the BIM software increasing project efficiency and saving time. The added benefit of clash detection and 3D modelling allowed for a prefabrication of all reinforcing steel elements. This solution saved the client both onsite costs and time which would not have been possible without a BIM process. The Curragh is considered to be one of the best racetracks in the world and is a centre for showcasing, racing and training some of the best thoroughbreds globally. The new Curragh redevelopment will see the creation of world class facilities on a par with the best anywhere in the world. The centrepiece of the redevelopment will see the construction of a major new grandstand which will incorporate five star corporate facilities, restaurants, bars and superb viewing facilities across 3 floors. BIM Excellence on this project is the implementation of the innovative construction process of Digital Project Delivery (DPD). DPD provides a set of digital tools, procedures and guidance for Information Management (IM), Building Information Modelling (BIM), and Innovative Technology underpinned by the amalgamation of our people, tools and technologies and management processes. 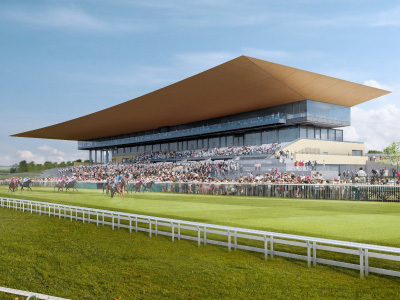 The Project Team on The Curragh Racecourse is working in a ‘4D Virtual Reality’ environment, enabling them to plan and sequence their works in an immersive space. 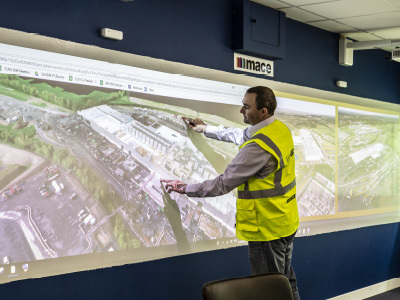 The innovation enables the project team to move through their construction programme in an immersive first person virtual construction site; seeing how works will develop before they actually occur on site. 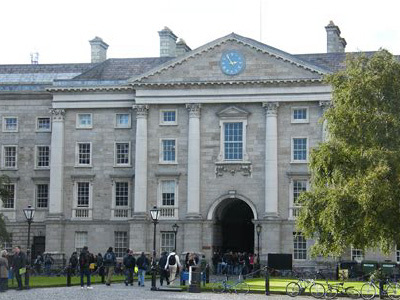 The Diploma in Applied Conservation and Building Repair belongs to Trinity College School of Engineering. It was developed in 2002-03 in answer to the industry’s need for expertise in historic and traditional materials and fabrics. The main purpose is to provide the students with applied knowledge and skills on the repair and conservation of existing structures. The multidisciplinary and practical nature of the course allows it to meet the needs of industry. The combined professional background and experience of its 46 lecturers including academics, architects, engineers, archaeologists, surveyors, restoration experts (plasterers and masons, timber, metal and thatch craftsmen and quarrymen) provides a comprehensive knowledge. 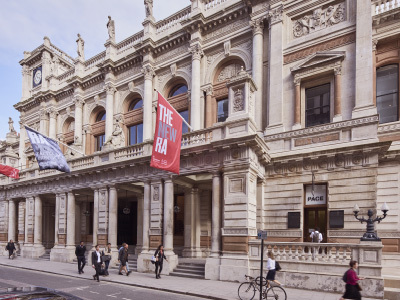 The course is continuously being updated to include latest developments in building conservation such as thermal retrofitting for energy performance and HBIM- historic building information modelling for heritage structures. The course brings academic research into industry, government institutions and local authorities. Similarly, industrial outcomes and knowledge are fed into the course through the professional experience of our lecturers. Students come from several backgrounds and the multidisciplinary nature of the course allows them to gather a full knowledge of the different aspects of conservation. The course has been approved by Engineers Ireland (EI) as meeting their requirements for continuing professional development. It is recognised by the Royal Institute of the Architects of Ireland exempting their members from their Conservation Induction Module (Grade III Accreditation). This 40 credit special purpose Level 8 qualification in construction management, was developed in close collaboration with the Construction Industry to respond directly to identified skills gaps in the modern construction professional. The focus of this programme is on contemporary challenges such as the implementation of lean management processes, construction economics and proficiency in Building Information Modelling (BIM) technology. The delivery model for the course was developed to ensure that the students would be able to upskill without a negative impact on their work / life balance by utilising a blended learning approach, mixing online lectures with traditional classroom based lectures delivered by a team with extensive industry experience. Additionally, the course was offered via the Springboard mechanism to allow a wide range of individuals to undertake the course without the burden of excessive cost. The ME in Civil Engineering is a broad design‐focussed Level 9 programme tailored to meet both the educational requirements for progression to Chartered Engineer status and the diverse needs of a progressive modern Civil Engineering practice. This programme is currently the only accredited 60 ECTS ME in Civil Engineering in Ireland. 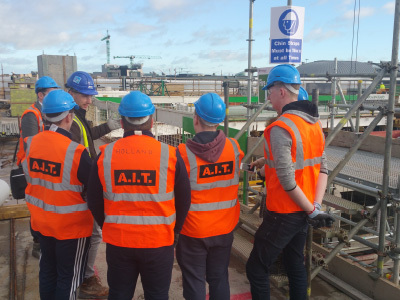 Students on this programme strengthen their core knowledge with modules on a range of advanced Civil Engineering topics, while improving their versatility and leadership potential as engineers through transferrable skills and personal development modules. The Integrated Design team project is a unique feature of the programme; students take on a real‐world design challenge with support from practising engineers. 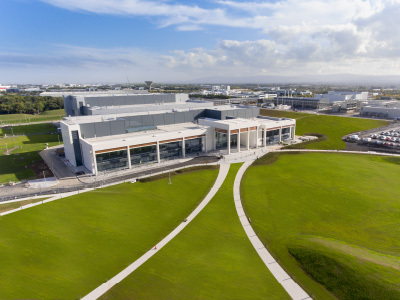 Research experience is gained through a minor thesis, often performing a subset of PhD‐level research, with access to laboratory facilities in the award‐winning Alice Perry Engineering Building, Ireland’s largest engineering education facility. Graduates of this programme have been highly sought after by the profession both nationally and internationally. The programme has received excellent feedback to date and has been very successful, despite of the much smaller pool of eligible candidates compared to universities in the greater Dublin area. 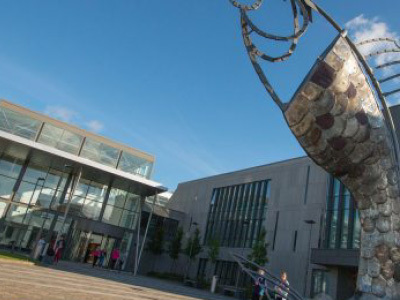 IT Sligo is a leader in delivery of online part time programmes and designed the MSc in Project Management in collaboration with professional bodies and organisations through its extensive networks to address significant skills deficits in this area. 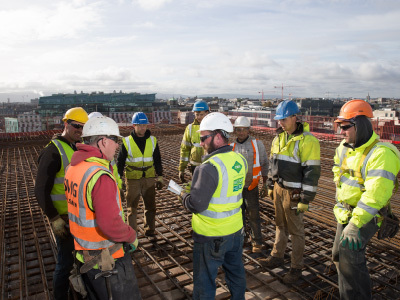 Through the impact of Lean Construction Ireland, the construction sector is becoming more productivity focused. This new focus on productivity not only includes the use of BIM and 3D modelling and related digital technologies but also lean thinking and project management best practices. This programme serves as a basis for IT Tralee to function at the core of the local Building Information Modelling (BIM) community of practice. Learners are provided with a platform for practicing 3-D building modelling, attaching and editing associated information, developing that information through the project stages and exchanging it using advanced tools and internationally agreed formats. 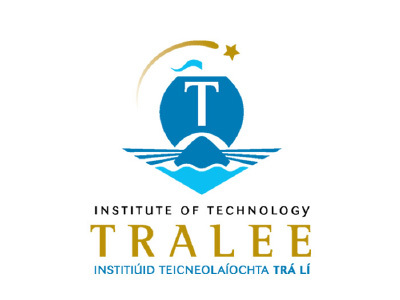 In a work-friendly, flexible online structure, IT Tralee acts as a hub for participants of multiple disciplines to engage each other to experience how BIM is implemented on projects. Content is linked to their current practice and ability so that they are able to use their newly acquired skills right away. The course is a single 10 ECTS Credit module. Through lectures and project work, students create model content as a basis for collaborative exercises. Lectures demonstrate realistic workflows and how they are improved through the incorporation of the same BIM techniques that are being learned. Learners engage on their own terms, using their own experiences to the benefit of all. Company: Midland Steel Reinforcement Supplies LTD.
Midland Steel Prefabricate Double Skin Slab Reinforcement panels for the Irish and UK construction markets. This off-site prefabrication saves up to 75% of time when compared to the traditional on-site method of steel fixing. This product gives the client a distinct time and quality advantage over the traditional method and requires as little as two steel fixers to install the panels on-site. From our experience during previous projects, a panel up to 50 m2 can be installed and fixed in under 15 minutes. These panels are pre-slung to allow an efficient installation process and are supplied with a Temporary Works Design Certificate and an installation key plan sequence. 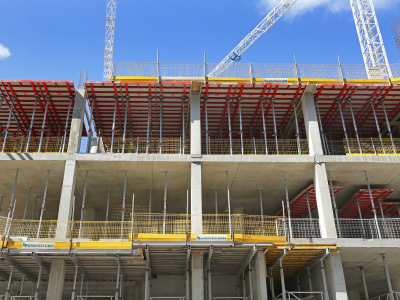 The key advantages of Midland Steel’s Prefabricated Double Skin Slab Reinforcement product are: Reduces on-site steel fixing time; Counteracts the issue of a lack of skilled on-site labour; Increases the efficiency of reinforcing steel installation on-site; Reduces the number of processes involved in comparison to the traditional method; Saves the client on labour costs; Increases on-site safety with the elimination of loose bars and the reduction in on-site workers & Substantial financial savings to the client and contractors. 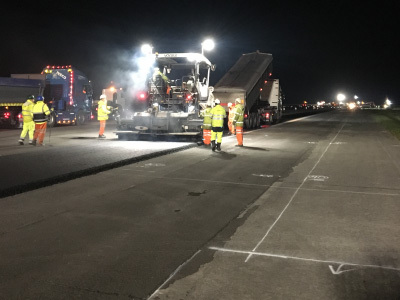 TOPMAX is a table form that can be used to shutter large slab surfaces in a manner that is faster, more efficient and more environmentally friendly than before. 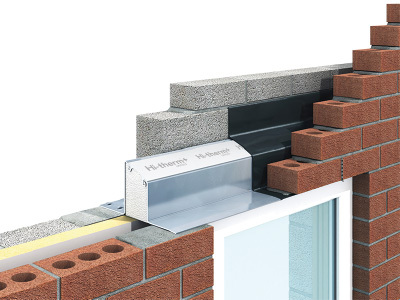 The basis is an extremely stable hot-dip galvanised, powder-coated steel frame that is only 12 cm high, it offers multifunctional connection options for system accessories such as edge protection systems or transport hooks. Compared to the traditional timber beam or H 20 table form, TOPMAX is more efficient, more environmentally friendly and safer – in all phases of the construction process such as storage, delivery, erection, shuttering and stripping, movement on site and return delivery: TOPMAX fully meets safety requirements. The low construction height of the steel frame means that more tables can be transported per truck. This leads to savings of up to 70% for transport and logistics costs. It also reduces the associated pollutant emissions by up to 70%, The design with just a few installation parts and the system compatibility means that the installation can be performed quickly and easily on site, Adjustment pieces can be solved in the system, The table form is 100 percent recyclable & wood chippings are reduced to a minimum. The Sirius™ Pro drone is a fixed-wing UAV designed for large area flying. It can perform fully automatic flights over inaccessible terrain without the need to set ground control points, significantly reducing time, cost, and human risk. With quick and easy flight planning, hand launch and automatic spot landing, the Sirius™ Pro UAV makes surveying simple and safe. 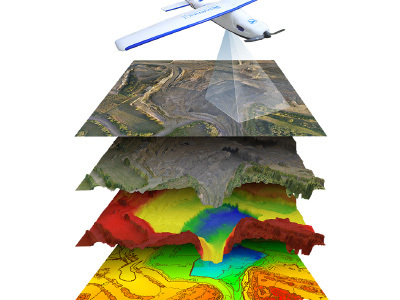 It delivers high-quality data that can be quickly and easily collected, processed, and converted into orthophotos, point clouds, and 3D models. 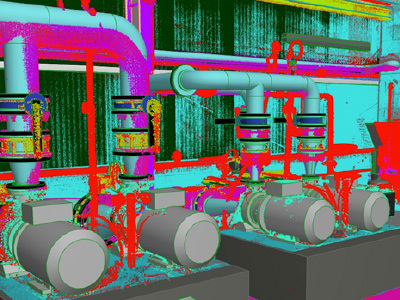 BIM & Scan® AutoCorr™ | BIM & Scan Ltd.
BIM & Scan® AutoCorr™ is a validation software that compares design models with point clouds within a given tolerance and exports a semantic point cloud for better decision making throughout the project lifecycle. Traditional spot checking for issues on site simply doesn’t work and is too subjective. During spot checking no-one finds all issues, and if multiple personnel are working on the same task, all of them end up with different results! BIM & Scan® AutoCorr™ provides objective based solutions that can account for all issues via BCF. If you can scan and capture it at any time during the project life cycle, then BIM & Scan® AutoCorr™ can process that data and give you cost saving results. 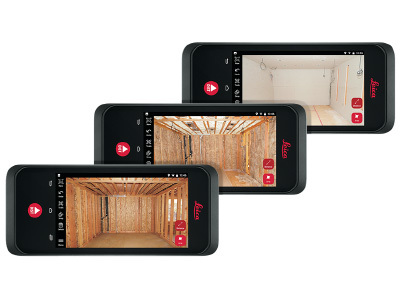 Field clashes and time-consuming disputes about accuracy of build can be eliminated with BIM & Scan® AutoCorr™. Its edge computing capabilities eliminate the need for network connections and cloud services, ensuring professionals can make faster decisions within their daily workflows – whether measuring inaccessible locations, creating floor plans, estimating building installations, documenting construction site progress or creating as-built documentation. 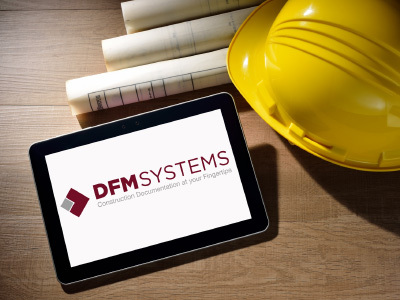 InControl DFM, a Digital Building Manual, has been in use since 2004 and until recently was used as an inhouse tool to allow us to deliver a Digital Safety File solution to the Construction Industry. During 2017 & 2018 the product was re-engineered to integrate with 3D models and BIM so that InControl DFM can be used as a Digital Building Manual / Asset Information Model (AIM). The following modules / features were added to enhance InControl DFM and re-engineer it as a Digital Building Manual: – Asset Register / Asset Information Model, QR Codes, Warranty Database, Maintenance schedule management, Life Cycle Asset Information Management, Asset Validation, 3D model integration, COBie Integration & DFM Live – PPM Management module. InControl DFM was designed with the end user in mind, the system ensures seamless transfer of information throughout the entire lifecycle of the building.